Criminal Minds has found another member for the team. 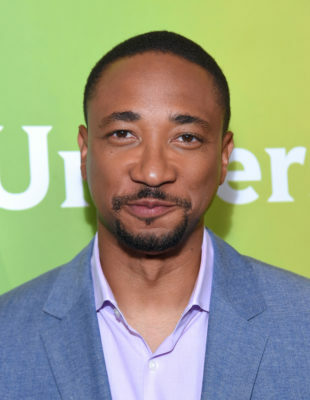 Deadline reports Damon Gupton has joined season 12 of the CBS series. New and former castmembers have also recently joined the series, including Adam Rodriguez and Paget Brewster. As reported earlier, Thomas Gibson was fired from the long-running procedural after he allegedly kicked a producer on set. Season 12 of Criminal Minds just premiered earlier this week. The series airs on Wednesdays at 9 p.m. ET/PT. What do you think? Are you a fan of Criminal Minds? Do you think Thomas Gibson’s character will be missed with all of these additions? it is hard to see that he was dismissed. also maybe they wanted that he go. and criminal mind will not be the same. the new one can be a good actor of course but thomas gibson made the serie as he was the head. and a shame that the petition against firing thomas gibson was not sucessfull. i will miss the boss hotch in criminal minds. Don’t like that Thomas Gibson is not on the show anymore but I know that anyone that takes his place will receive a lot of hate just for not being him and especially if they look different than he does. I was hoping that Rossi would take his place or at least Prentiss. I know “worthymagic” will have something to say even though this guy didn’t just come in take his place on his own since Gibson was fired unfortunately. Something else to sigh about. If posted twice, my bad. I don’t like that he’s gone like I said already. You make it sound like i wanted him gone. Mr. Gupton DIDN’T come in to take the place of Mr. Gibson, and that is THE PROBLEM! They don’t need more role players on this show. They needed to replace Thomas Gibson, and it looks like his replacement is Paget Brewster. Good luck with that. Joe Mantegna is the new #1 and Paget is the new #2. The ratings will tell if this is acceptable. Most people writing in on other sights say it isn’t.